Makeup Studio Face It Cream Foundation in Almond €29.90: Okay I know I said I never spent over €11 but I haven't I used to work for this company and so I had to wear their makeup so we we're given all the essentials to wear. Before using this all I wore was liquid foundations so a cream foundation was new to me. I adore this product so much (and maybe even more than the liquid foundations). It can give medium to full coverage while also feeling like you have nothing on your skin. I've had this for the past 5 months and I have yet to reach the pan in it so you do get a lot of product. The only thing I will say if you do have any dry patches of skin it will stick to it, but other than that I can't find any faults in this, and it lasts until you remove it which I love about it. More than likely I will buy this when I run out of the product. Rimmel Match Perfection in Classic Ivory (with tan Soft Beige) €9.99: I have been buying this particular foundation for the past year or two but I absolutely love it. It gives great coverage and the more you build the better the coverage. I do find that if you dont powder it, it does give your face a really nice glow however I never wear it without powder just because personal preference. I do think it has good lasting power but you may need to top it up during the day. Sometimes I find it'll stay putt for the day and others sometimes it needs to be touched up. This is forever a re-purchase for me. 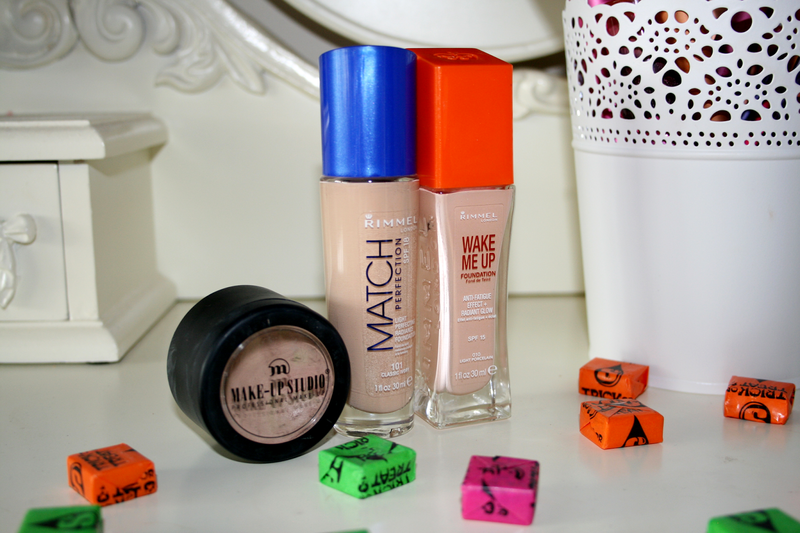 Rimmel Wake Me Up Foundation in Light Porcelain €10.99: Can you tell I like Rimmel foundations? The one thing I will say about this foundation is the colour range isn't great. I can get away with Porcelain as I found the next colour up was too dark for my skin so ideally I could have done with one in between the two. This is great when you're skin is maybe looking a bit dull as it does give it a freshened 'woken up' look given it a healthy looking glow. Again this gives great coverage and the more you build up the better the coverage. What I like about this one is it does feel light on the skin and not cakey like some. It's also a gorgeous product to work with as it just goes on the skin so well. I do feel that this one lasts on the skin the same as Match Perfection and just depends on your skin that day or what you've been doing to determine if you need to touch it up. This is my third bottle of this and I can't help but pick up a bottle every time I go into Boots. I'm getting the Match Perfection foundation for Christmas! It sounds absolutely amazing! I wish I could get the Wake Me Up foundation where I live. I've heard so many good things about it! 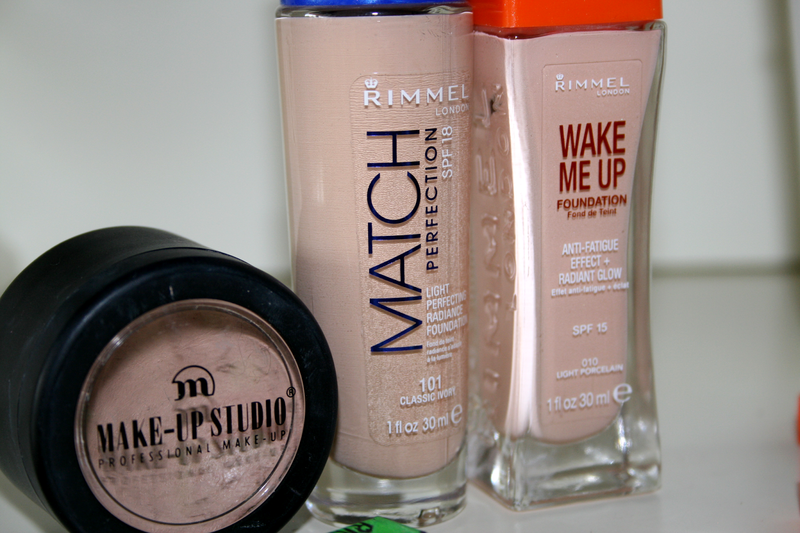 The Rimmel Match perfection is the best high street foundation I've come across, and I really want to try the Wake Me Up foundation as well. I really want to try the wake me up foundation! I've heard everyone rave about it, and it sounds fantastic!